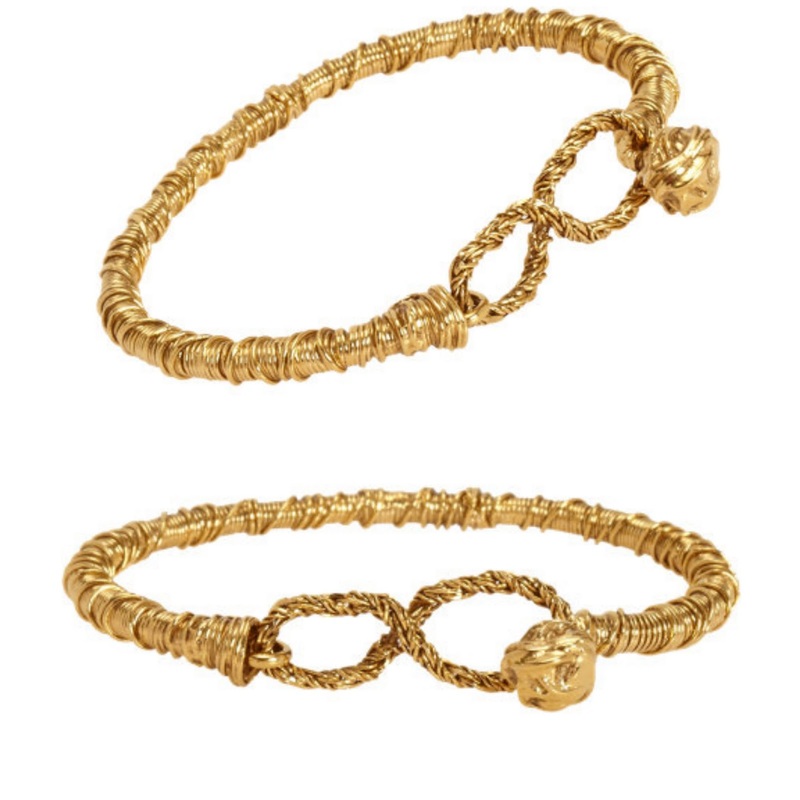 While doing a little online shopping for things I won’t be able to afford for at least the next ten years, I came across this lovely bracelet (pictured below) that I absolutely had to have. The problem is it costs about a quarter’s worth of textbooks. Or 81 grande caramel frappucinos. Yeah no thanks – I’ll take the coffee. 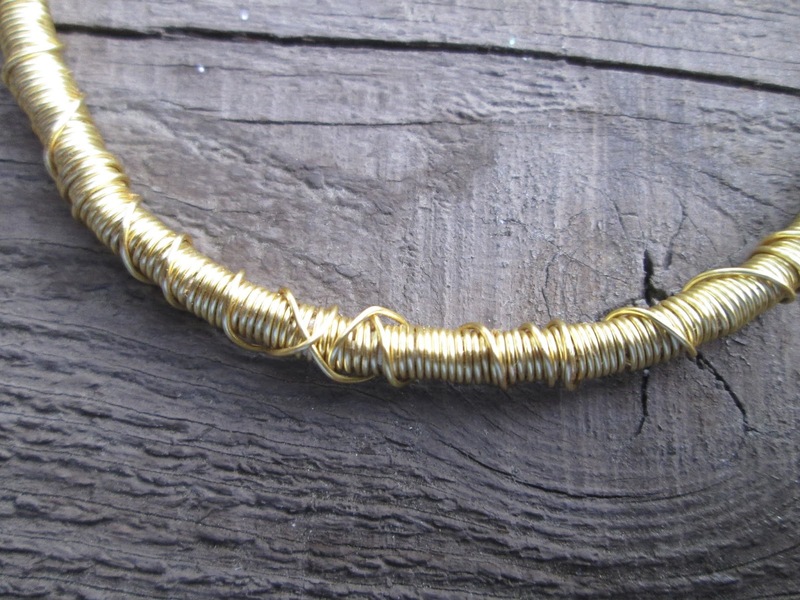 24 gauge gold beading wire - I purchased a 24 yard roll and had left over, but you will use quite a bit. 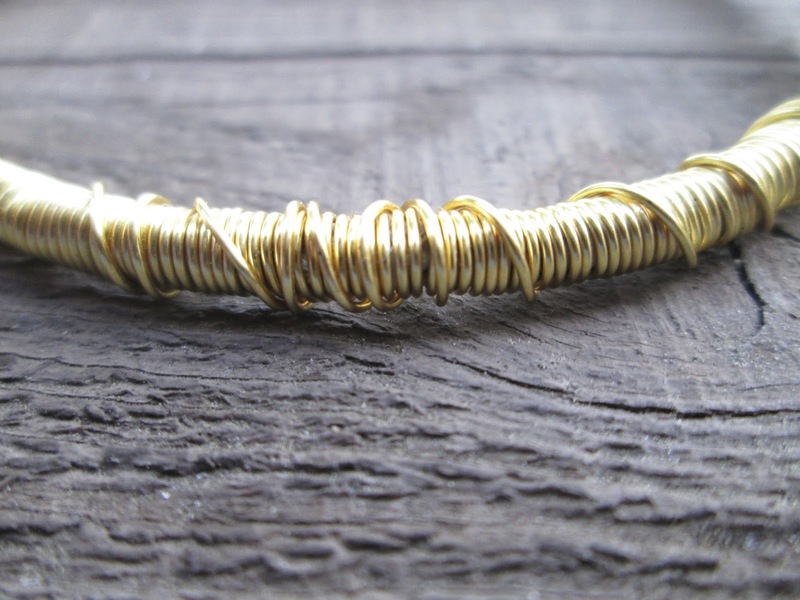 20 gauge gold beading wire - an 8 yard roll will be more than enough. Thick round cording – I used braided leather cording in a light cream color. 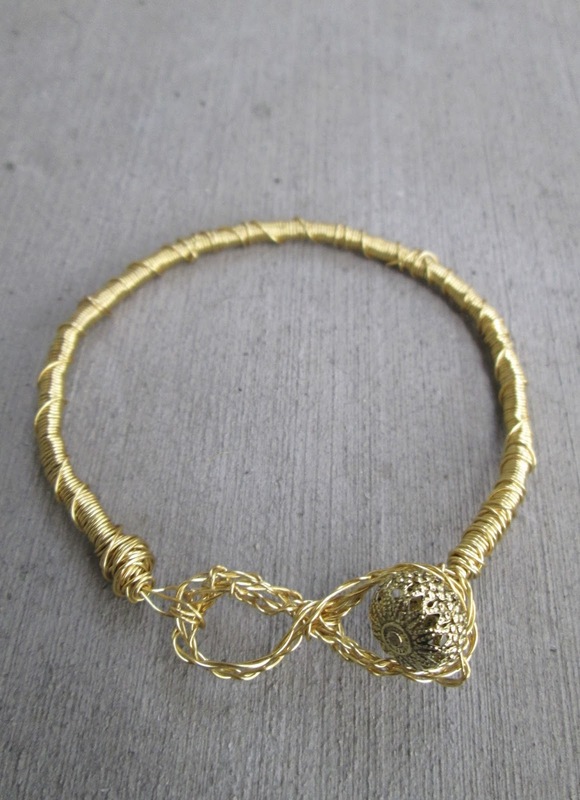 Remember, the thicker the cording, the thicker your bracelet. 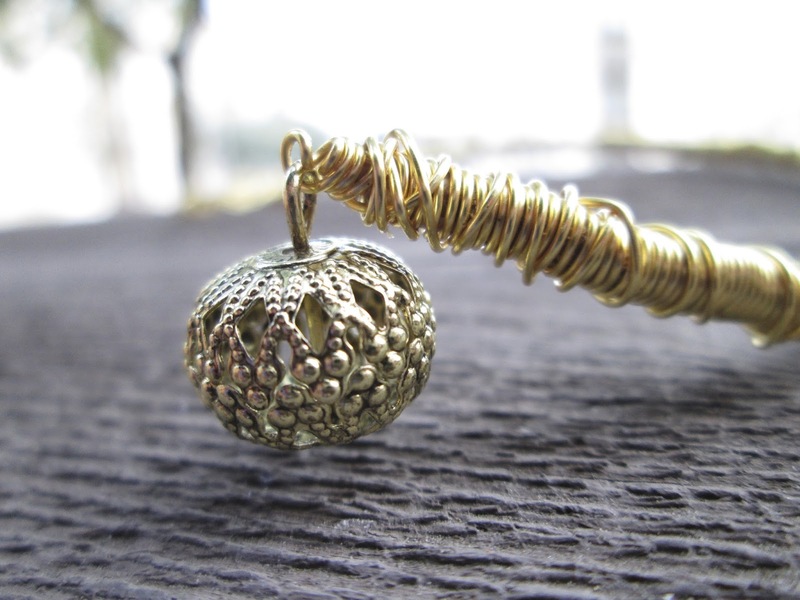 A round bauble to be used as a clasp. It should be round-ish, although not a perfect ball. It’ll work best if it appears to be slightly squished so that the sides are narrower than it’s length. I purchased the Bead Landing “Specialty Findings” 64 piece pack from Michael’s. 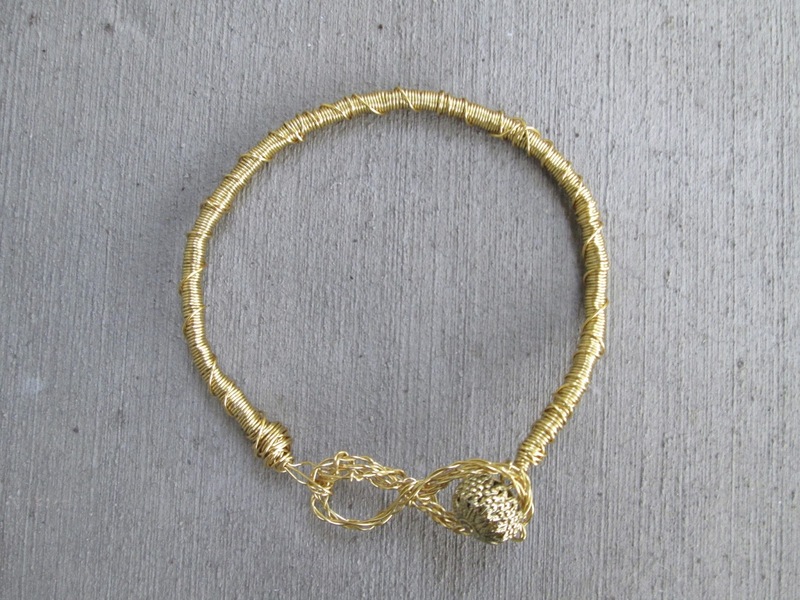 First, measure and cut a length of cording about as long as the length around your wrist. 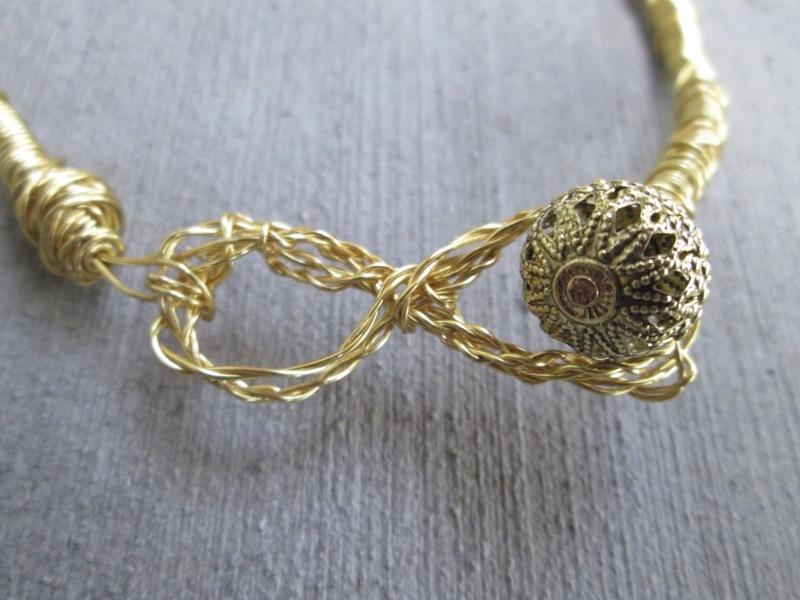 It should be slightly shorter though, because the clasp we make will add length. My first attempt ended up way too big, so it will be worn as an anklet. 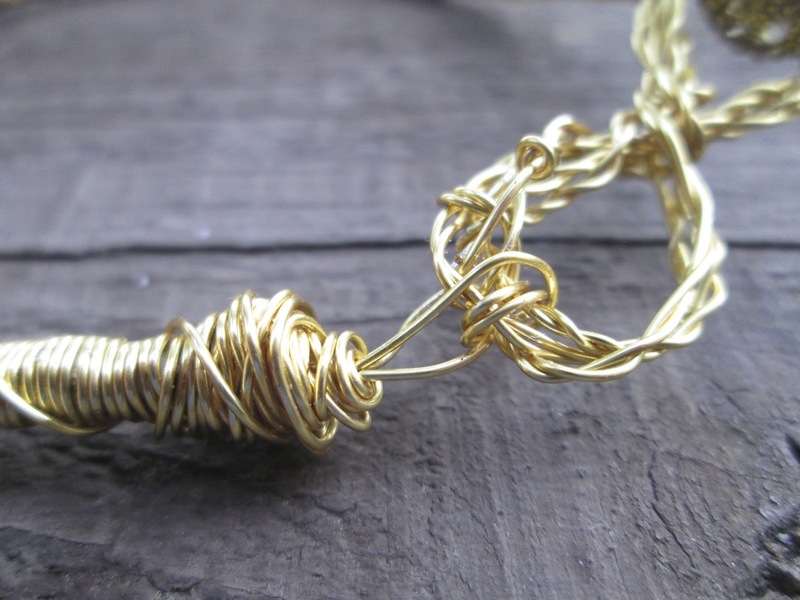 To begin, create a loop of wire at the end of the cord using the 24-gauge wire. Then wrap the wire tightly around the cord – see the photo below for clarification. Each coil around the cord should be right up against the previous, but don’t worry if it’s not totally perfect. Continue wrapping as neatly and evenly as possible until you reach the other end. 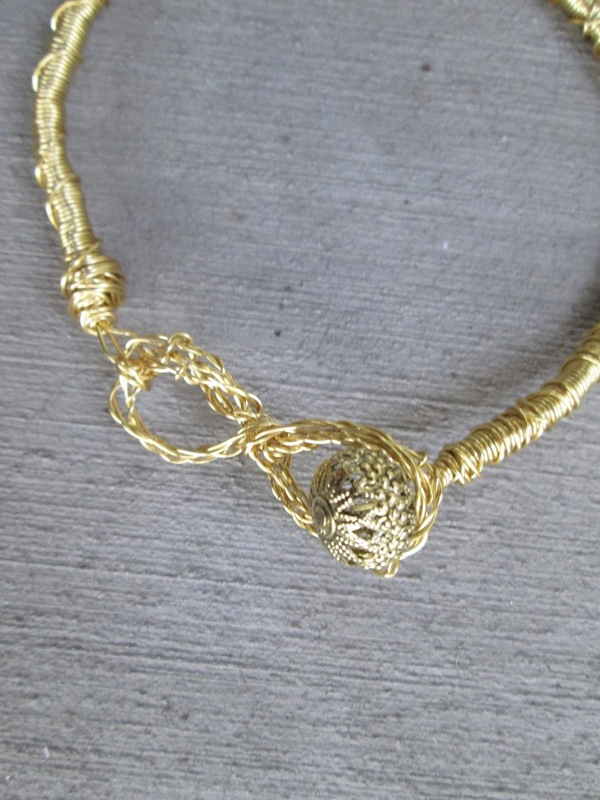 Once you have finished wrapping, you can end the bracelet by looping the wire through the bauble. Loop it through twice, and then cut the wire, leaving about an inch extra. That excess length can then be wrapped back on itself at the end of the cording. This next step is the most complicated. 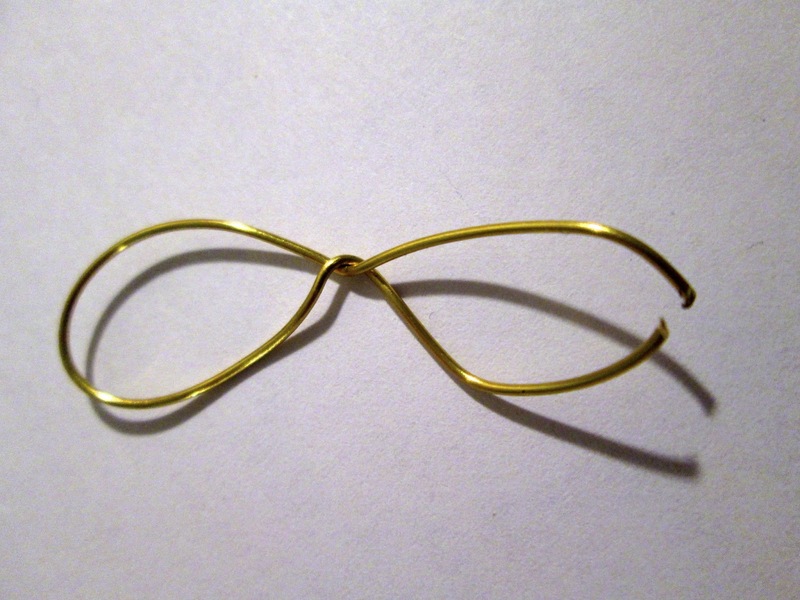 To make the infinity shaped latch, first create an open-ended figure eight with the 20-gauge wire. 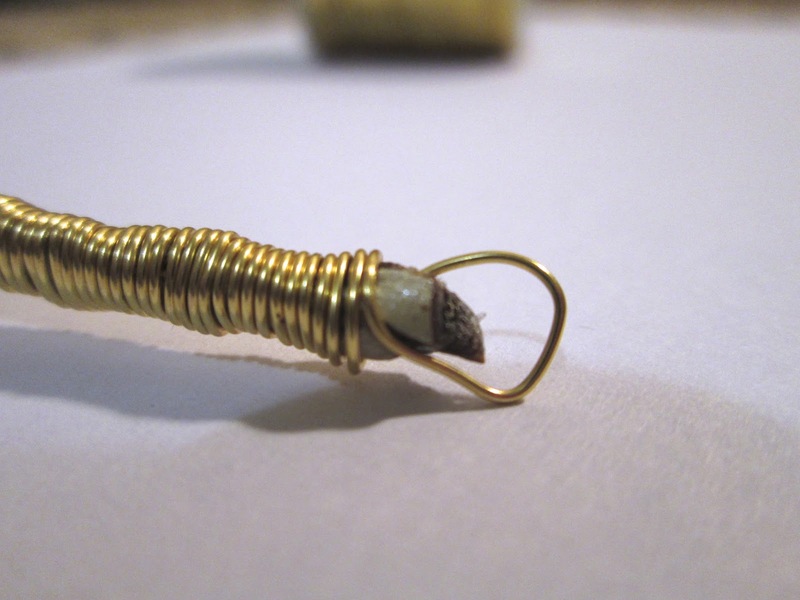 Then twist two long lengths of 24-gauge wire together, and wrap those around the base. The twisted piece should go around the base several times. Stop winding once you have reached one end and have about an inch of wire left. To attach the latch to the bracelet, loop the end of the twisted wire (the part we left sticking out from the latch) through the loop on the bracelet until it is secure. This last step is the least precise. 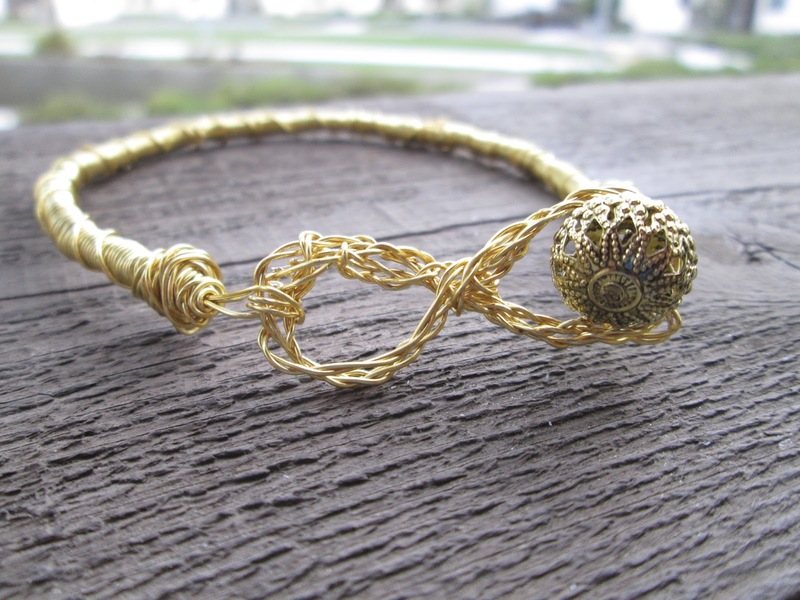 Using the 24-gauge wire, haphazardly wrap the bracelet for a second time. This final wrapping should be imprecise, with large gaps in-between each loop, and with some loops over lapping. You can see the process in detail in the following photos. That’s it! I’m really pleased with how it came out, and even more excited by the prospect of customization. 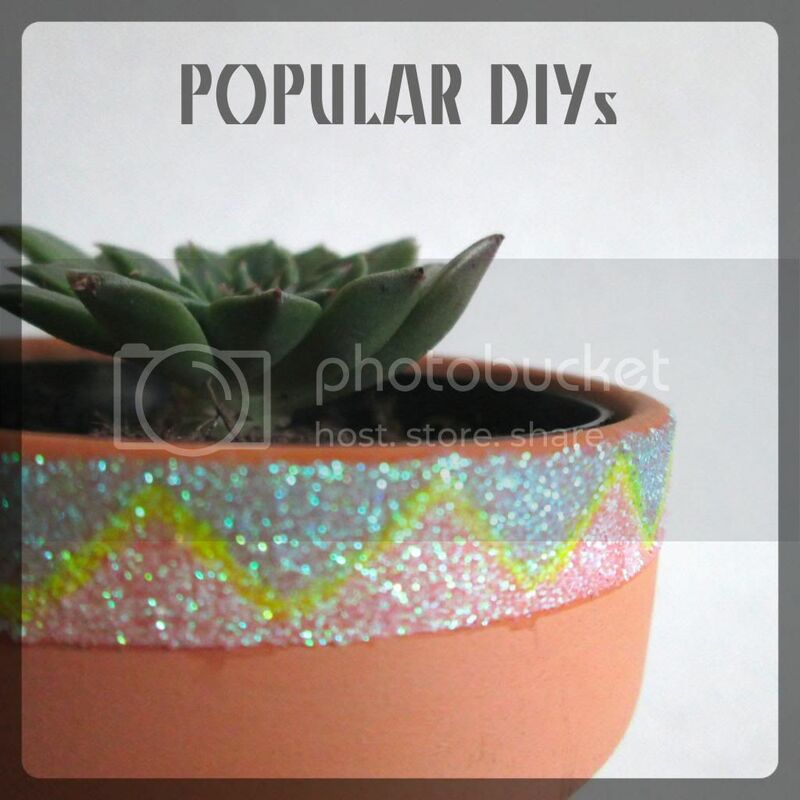 I think it’d be really fun to change things up a bit with additions like rhinestones or multi-colored wire. As always, I hope you enjoyed this tutorial, and would love to hear from you. 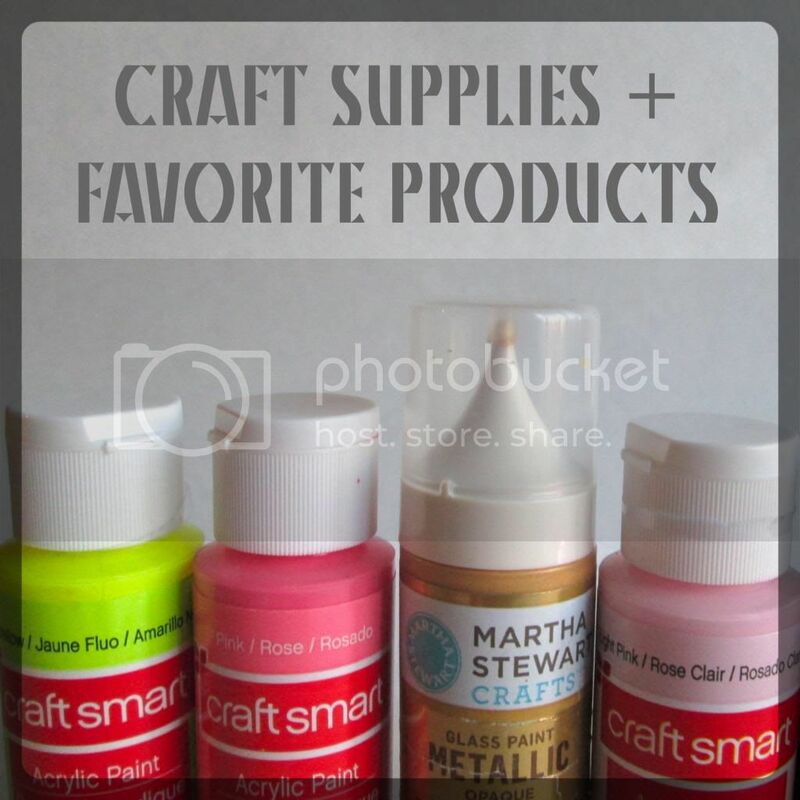 If you have questions, comments, or ideas, you can leave a comment below, or email me at confessionsofasecretcrafter@gmail.com. You can also connect with me using any of the social media icons located on the side bar. Happy crafting! Thanks Barb! As a college student, I need all the coffee I can get! This is a beautiful version, I love how creative you've been. 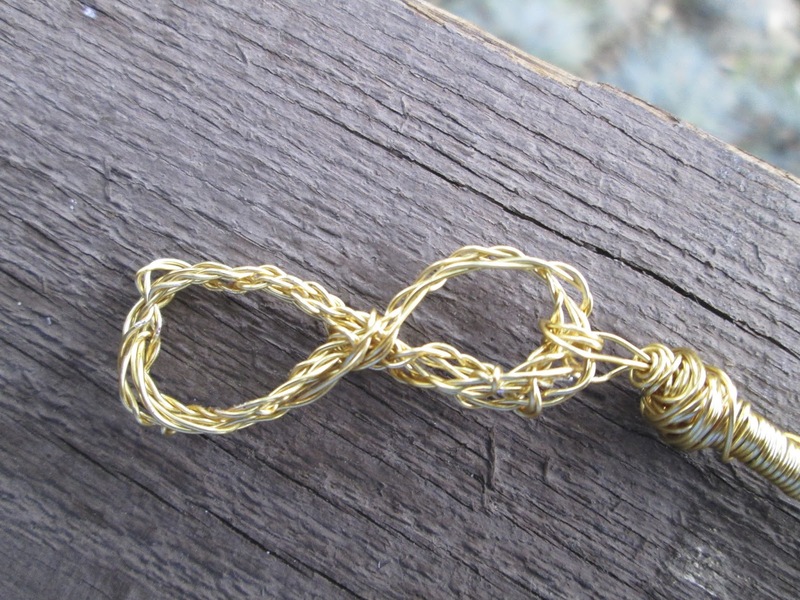 I thought the infinity bit was crocheted somehow when I first looked at the photos. I love a bit of on line window shopping myself! It's actually not as challenging as it looks - you should give it a try!